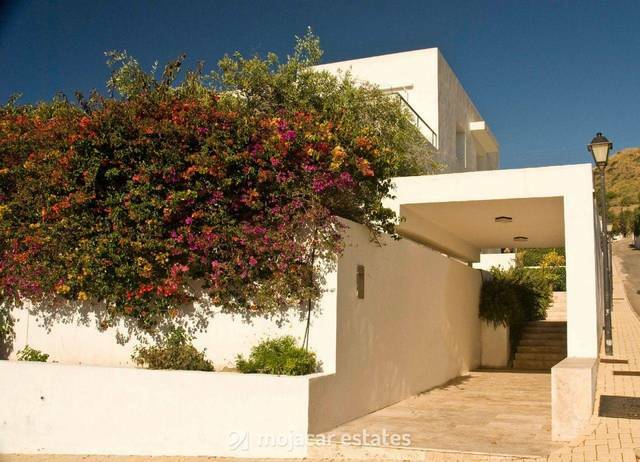 Large (368 sqm) detached villa for sale in Mojacar Costa Almeria Andalusia, built to a high standard, on the golf development of Marina de la Torre. The house is built on 4 levels with a lift. The owner is using this villa to combine living and working. The basement of 126 sqm is fully set up as an office, with a cloakroom and a storeroom. Lounge with exit to 28 sqm terrace enjoying panoramic sea views, kitchen/dining room with terrace to the back of 20 sqm. Roof terrace of 80 sqm, multi purpose room and cloakroom. 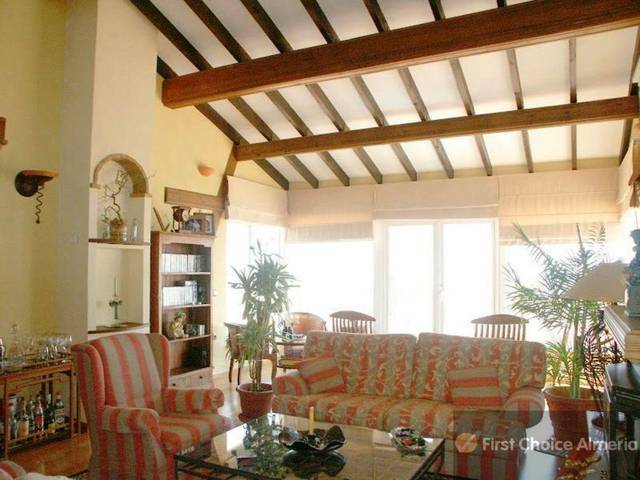 this terrace is completely private but offers one of the best views you can find in Mojacar. Extra room with separate entrance and rock feature, could be used as spa, bodega etc. Driveway to park various cars. Part of the office could be reconverted into a private garage. A project to build a pool is included in the price and will be built on reserving the property.